Hello, hello! I swear these weeks fly by. Which I’m totally ok with in the winter. I want them to go super fast so we can just get to spring and summer already! Anyone else have the winter blues? 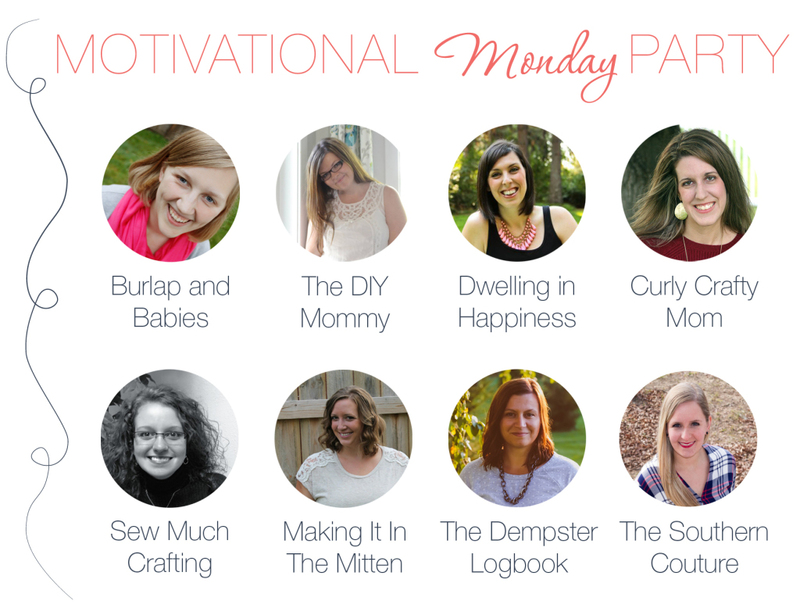 We can’t wait to see what you’ve been working on this week! We appreciate everyone for all their lovely projects linked up last week. 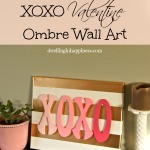 So many fun Valentine’s day projects, too! Do you have any fun plans for the holiday coming up? 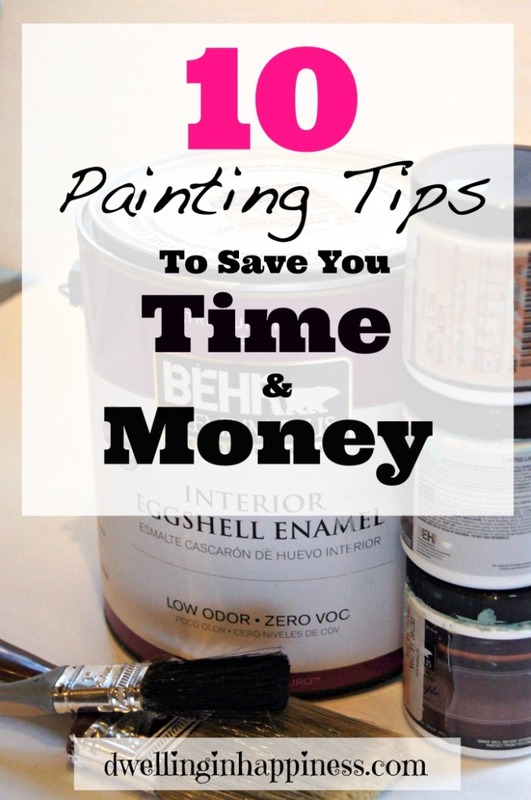 Last week, I shared 10 Painting Tips to Help You Save Time and Money. 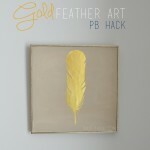 Each week, your hosts will choose a few posts to feature from the previous week. If you want a chance at being featured, you must follow all of the hosts. 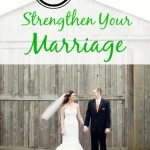 By linking up, you agree to let each host share your photo and link back to your site, as well as receive a weekly e-mail letting you know when the party is live. We will never give your e-mail or info to anyone, nor will we spam you! Link party goes live Sunday 6pm PST and ends Thursday at 5pm PST. 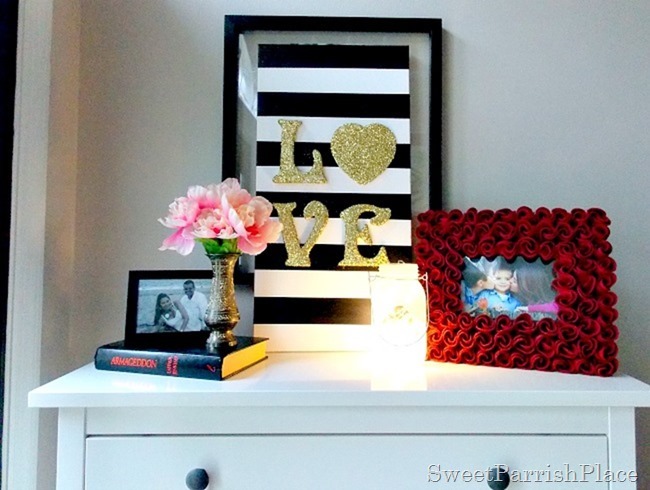 This little DIY Love Canvas from Sweet Parrish Place is so adorable! 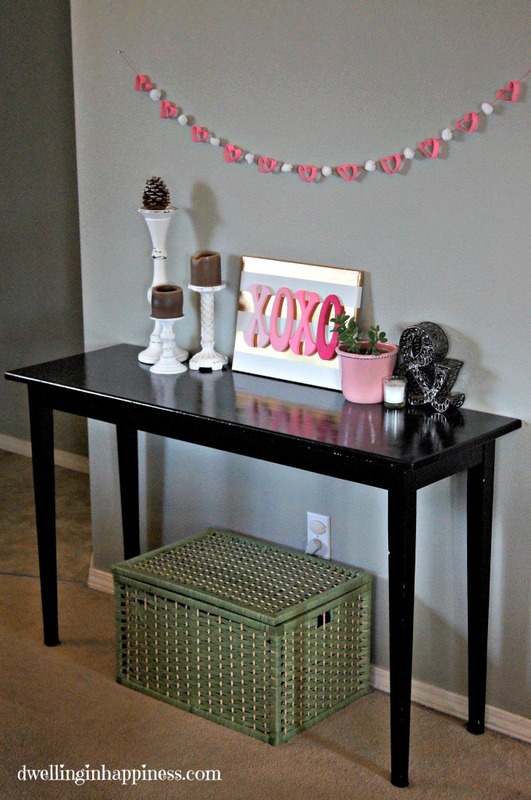 Loving the glitter letters mixed with the black and white. 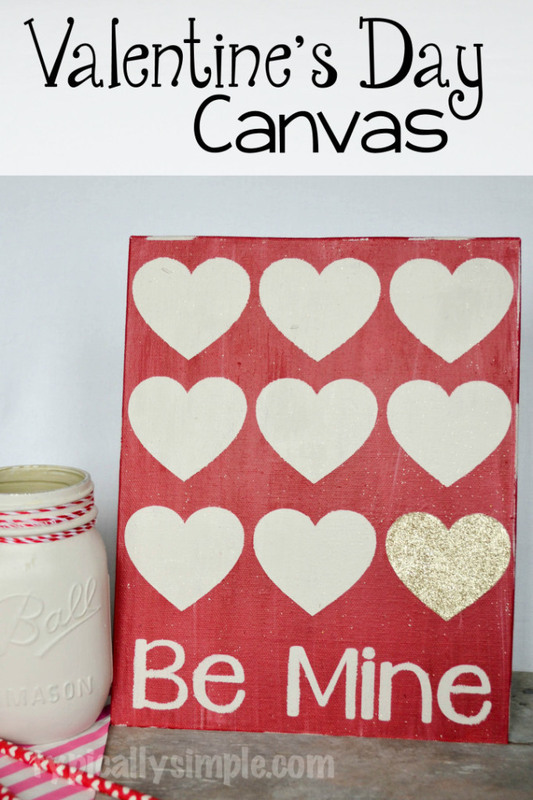 Loving this super cute Stenciled Valentine’s Day Canvas from Typically Simple. 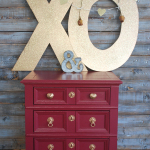 She used her Cameo to create a “stencil,” and it turned out just perfect! Gotta have a gold heart for Valentine’s day! And… go! Have a lovely week!